Today, two members of the Bassick Tech Lions joined us at one of our weekly Friday meetings and collaborated with us on programming, building, and game strategy! We all had a great time with them, especially Phoebe and Will who worked closely with Sayem and Jackie. 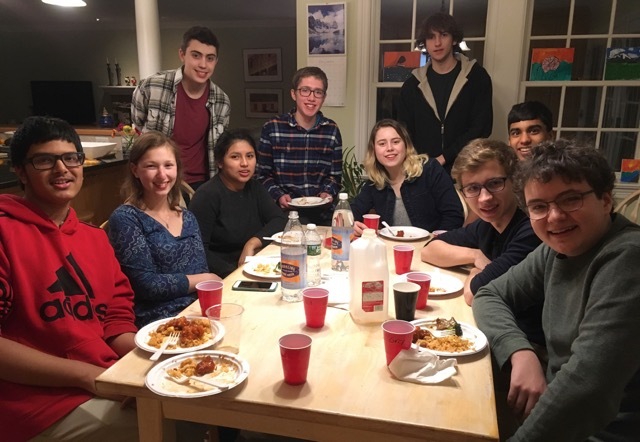 i²r and the Bassick Tech Lions at dinner! 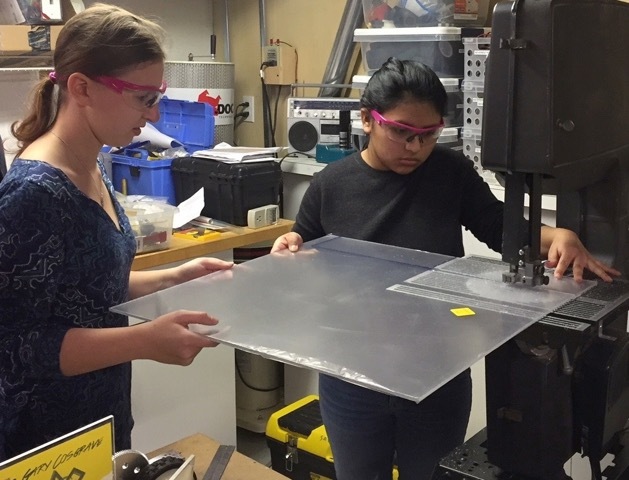 Jackie used a bandsaw for the first time when she cut out a piece for the robot! But, building wasn't the only aspect of FIRST we encountered. Nathanael and Theo, two of our programmers, also worked with the Bassick Tech Lions, and by the end of the day, they were able to test drive tele-op and push a few beacons! Phoebe and Jackie working on the bandsaw! Megan and Will also worked with the Bassick Tech Lions on the presentation and engineering notebook. The Bassick Tech Lions made a lot of progress today, and we were happy to collaborate with them! 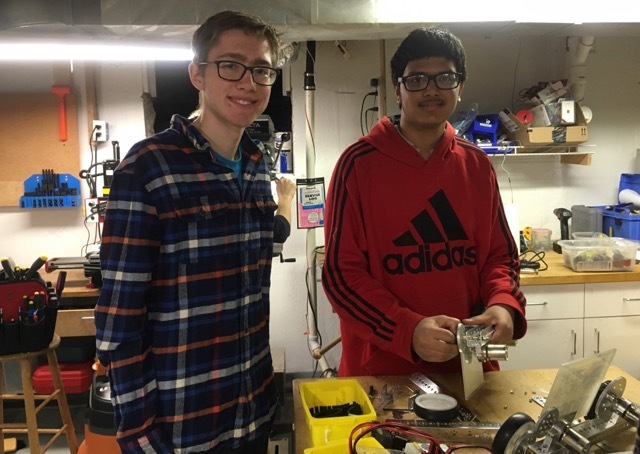 Will and Sayem working on the robot! We had a great time working with Sayem and Jackie, and we are excited to see them compete at the "Gator Bowl" Qualifier on January 21!